We are excited to announce that as an AutoTURN MAP subscriber, we are giving you the opportunity to try AutoTURN Online, the newest member of the AutoTURN family, at no cost. This is the premier online software for performing vehicle swept path analysis quickly and confidently without needing CAD. Nothing to install. Just the vehicles and tools you need to analyze swept paths in seconds – all in your browser. 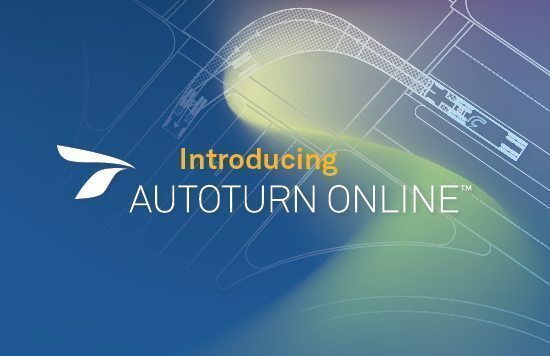 Experience what AutoTURN Online can do. Sign up before March 15 and get full access until June 15, 2017 to the CITY and PORTS & TRANSPORT vehicle bundles and your choice of one available regional vehicle library. This offer is only valid for AutoTURN and AutoTURN Pro clients with active MAP licenses*. Be sure to sign up before the cut-off date of March 15, 2017. As an extra benefit, you can invite as many individuals in your organization to sign up! Just forward this message and provide them with the AutoTURN MAP license number for verification purposes.